At a certain point in a company’s growth, it becomes very important to manage your brand assets properly. At this point, businesses tend to reach for a Brand Asset Management software product, which allows them to centrally store all their brand assets in a useful, shareable location. These tools are also referred to as brand management software, digital asset management or brand guidelines software. So what are the different options? Well luckily for us, Capterra — the software review platform — has already done the work. It collects the most popular Brand Asset Management software product as one of their main categories. Three of the most popular Brand Asset Management Platforms on Capterra are Bynder, Frontify, and Marcom. They all allow you to create yourself a ‘Brand Cloud’, so to speak, where you can store all your brand assets in their custom data stores. There is not denying that these are all great products, but they are all large software platforms that you need to setup from scratch, adding new users and configuring settings. They are also expensive. So why go through the pain of setting them up and over-paying for them? What do they actually offer? Apart from the fact that these products allow you to access all your brand assets in one place, they also offer a number of other features. Seems like a good deal. All these features are undeniably very useful. But these features feel familiar. Aren’t we already paying for these features with our existing Cloud solutions? For example, if you have Google Suite, you are already paying for every one of these 5 features — You have Cloud storage. You can share files with anyone you want. You have login and 2 Factor Authentication… you get the point. So, it begs the question, why do you have to pay for these features again? Surely all you need is the one feature you are missing — The ability to collect, manage and access your brand assets into a beautiful visual brand Artboard. Surely you could simplify all this into a lightweight integration with you existing Google Drive, so you don’t have to pay twice for tech you already pay for. Enter Pilcro. Pilcro is how you can simplify your Brand Asset Management, and save money at the same time. 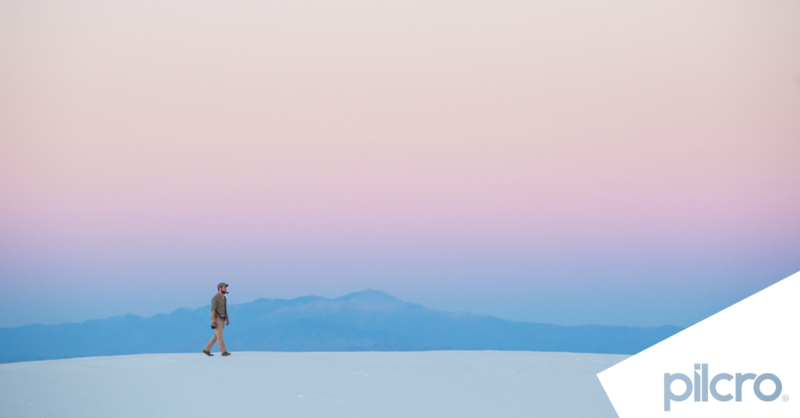 Pilcro is free Brand Asset Management software for G-Suite. With Pilcro you can collect, store, manage and share all your brand assets. All you need is a Google account. 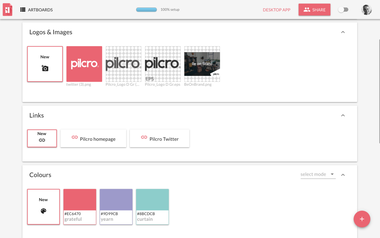 Pilcro Artboards are stored on your Google Drive. And they can be shared using Google share functionality with built-in permissions. Why not give it a try. See if you could supercharge your brand consistency without the need for a whole new cloud.